The staff judge advocate (SJA) is the principal legal advisor to the CG and the CASCOM Staff. The SJA also serves as the principal ethics counselor and directs all legal services provided on Fort Lee, VA and all tenant activities located on this installation. The CASCOM office of the SJA consists of four divisions and a branch legal office at Fort Eustis, VA: Criminal Law Division, Claims Division, Administrative and Civil Law Division, and the Client Services Division (including the Tax Assistance Center). 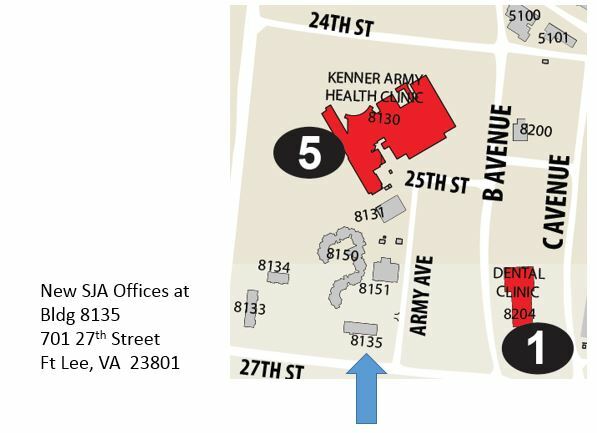 NOTE: The SJA has moved from the building next to the Blockhouse to 27th St, Bldg 8135 (near the Kenner Army Health Clinic). Trial Defense Service (TDS) has not moved.